No matter which holiday you’ll be celebrating, there’s so many ways your day can be filled with love, happiness, and generosity without killing your budget. It’s easy when you keep in mind why you give presents: to acknowledge your recipients’ place in your life, to honor their uniqueness and to show that you truly know and care about their interests and happiness. So why give a polo shirt just like the other 20,000 ones in every mall in the country? Your local resale shop carries both new and nostalgic gift possibilities at this time of year, and visiting these shops can open your eyes to suggestions as unique as your gift recipients. If you haven’t explored this way to seek out that perfect something for that Perfect Someone, you might be missing the most unique presents you’ve ever tucked into a bit of bright tissue paper! 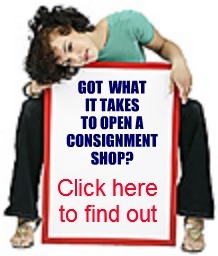 Oh, sure, consignment, resale, and thrift shops will have the things you expect to see, such as warm sweaters and mufflers and mittens. Or collectibles like that Howdy Doody lunchbox your husband will cry over and the last Hummel Aunt Maude needs to round out her set. Or specialty items like just the right ski poles for Denis or a bed jacket for Grandmother Smythe. But if you haven’t checked lately, you’re in for pleasant surprises. Many a shopkeeper has gone out of her way to find you unique regional crafts, unusual fashion accessories, and neat little inventions for your child, your home, or yourself. There are treasures to be found as well: a Hermes scarf received last year by someone who didn’t adore it that’s crying out to be re-gifted, a never-carried designer handbag, the toy that someone else’s child spurned, the one your child yearns for. Entertaining gear is affordable at resale prices. The punch bowl you have no need for the rest of the year? Worth buying at secondhand prices. A tablecloth 188″ long? Extra wine glasses so you don’t have to go the disposable route? Check out the values at resale stores. You’ll probably save enough to buy that spectacular sequined gown that would be perfect for New Year’s Eve! And best of all, your best present to yourself is free: that wonderful feeling when, come January, you’re not staring an outrageous credit card bill in the face. Shopping resale means not only one-of-a-kind gifts for one-of-a-kind loved ones, it means you’re being kind to the family budget at the same time. 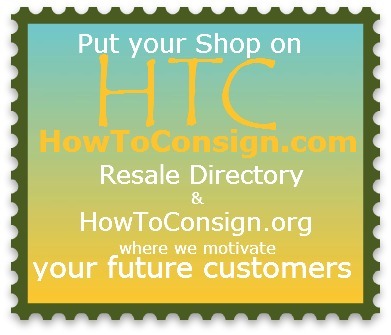 So pop your head in, wish your local resaler a happy holiday, and see what’s in store that would look good under your Christmas tree or on your holiday table. While you’re there, ask about gift certificates: the one gift that shopkeepers love having the recipient return! Read our 50 Ways to have a Merry Recycled Holiday. Oh those frustrating people you love! All the easy holiday gifts have been bought and wrapped. Now for those wonderful, lovable, wouldn’t-trade-em-for-the-world folks who are SO hard to buy for! 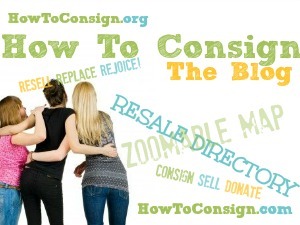 Now’s the time to hit the consignment, resale and thrift shops. And of course little ones don’t care if their gift happened to spend a few weeks in a resale shop because some other kid didn’t like Astronaut Barbie or outgrew his fascination with dinosaurs. And finally, my neighbors who are building a family room onto their house: I got them a gift certificate to the best furniture/ home decor consignment shop in town. 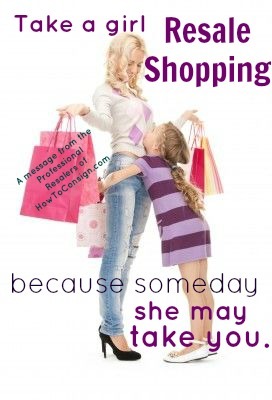 I wouldn’t want to deprive them of the fun of shopping resale for just the RIGHT thing for their home. I just hope they invite me along when it comes time to go shopping!